Hello, and welcome to our very first blog post! We’re happy you stopped by, and we’re quite excited to get this blog going. In the coming months, we will be updating the blog with much more content, excellent for anyone who’s wanting to learn a little more about animals and how to care for your pets. At 2nd Street Animal Hospital, we’re obsessed with keeping our animal friends happy and healthy. Animals are such a gift, and millions upon millions of people have found great relief and love in having them as companions. We wish we could help all the animals in the world, but since that’s just a little bit out of our scope, we focus on the Philadelphia area. Have you ever wondered what an animal hospital can do for you? Here are some of the services we offer — you might find that we can do a lot more for you than you ever expected from a veterinarian clinic! 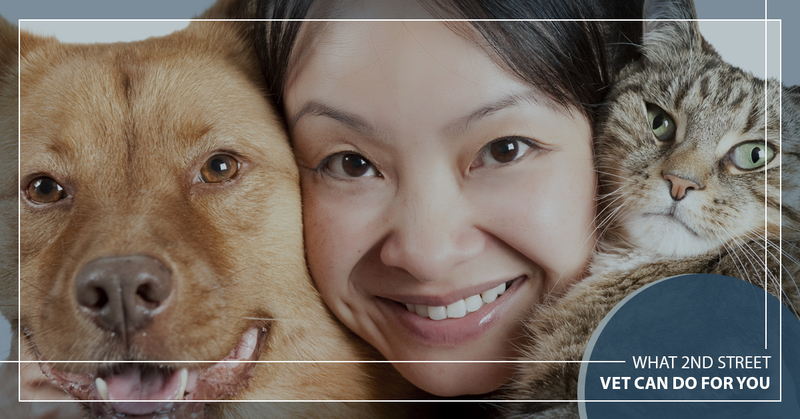 When you think of a traditional veterinarian and what they do, wellness services are probably what you’re thinking of. These are the most foundational aspects of our business, and they’re focused on improving — you guessed it — the wellness of animals that come in. Diagnosing and Treating Conditions: We perform a lot of services that can diagnose troublesome conditions in your pets. We practice a lot of “-ologies:” Cardiology, ophthalmology, neurology, dermatology, and gastroenterology. We can also treat Diabetes, Addison’s Disease, Cushing’s, and more. Pain Management: Sometimes pain isn’t something that threatens the long-term survival of your pet. But, it sure is unpleasant, and that’s why we offer pain management services. Whether it’s post-surgery healing, dental pain, arthritis pain, ear infections, or just about anything else, we can help your animal friend to feel better. Behavioral Therapy: If your pet has behavioral problems that you can’t seem to make better, we can help. Potty training problems, aggression, separation anxiety, scratching, and spraying are all examples. We can help you understand the fundamental roots of why your animal behaves the way they do. If you’re at your wits’ end, don’t be afraid to stop by 2nd Street for some professional help! One thing that separates 2nd Street from competitors is exotic animals division. We’ve been extensively trained to deal with exotic animals that require more specialized knowledge, and we love to treat them. We can provide a post-purchase examination to give you the essential information you need to know on how to care for your unorthodox pet. We also, of course, provide extensive health services for your exotic pet. We can medically treat just about every animal, as we have every tool for the job in our arsenal. We can also provide surgical services if your animal has the need. 2nd Street Animal Hospital is excited to serve the people of the Philadelphia area with our extensive animal care services. We hope you’ll continue to stop by our blog, and of course, contact us today if you have a pet or animal that’s in need of veterinarian treatment!